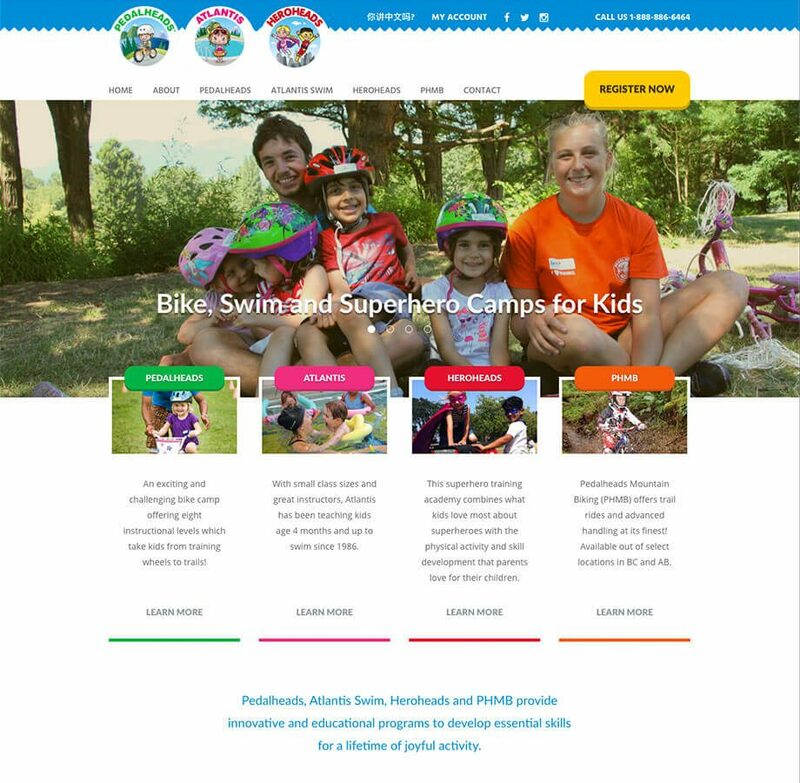 For 30 years Pedalheads and Atlantis Swim have been offering swimming, biking and physical activity programs that promote kids health and development. Over 200,000 children have learned to bike, swim, and improve their physical activity skills with Pedalheads fun and effective camps and lessons. 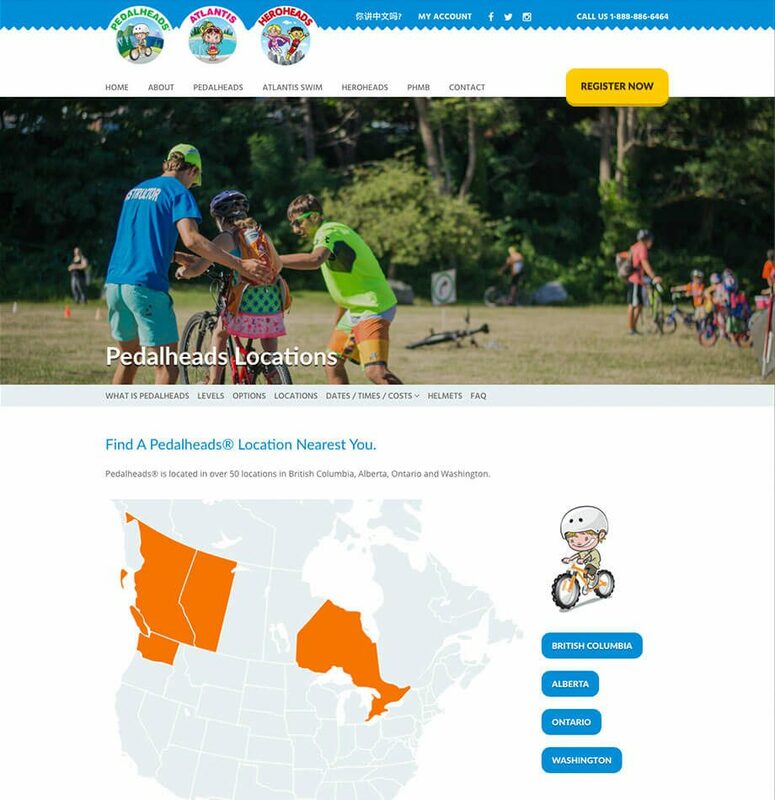 Pedalheads came to us looking for a new website that effectively communicates the positive impact their company is making in the lives of children, while also helping parents to find and book the programs for their kids with confidence. 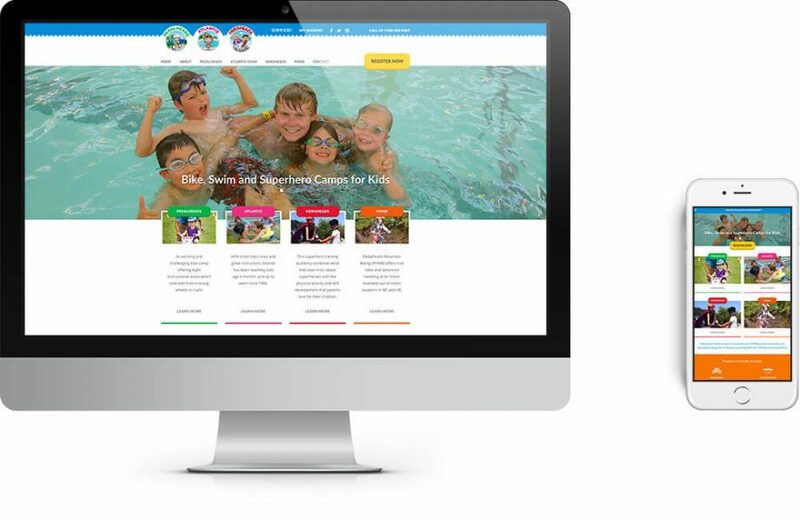 With 4 main programs for swimming and biking, the superhero camps, several instructional levels, options and locations, the first challenge was to restructure all their information and make it accessible for the target audience. Parents are always busy, that’s why they needed a website that makes it easy to choose the right program that fits their kids’ needs, schedule, and interests. 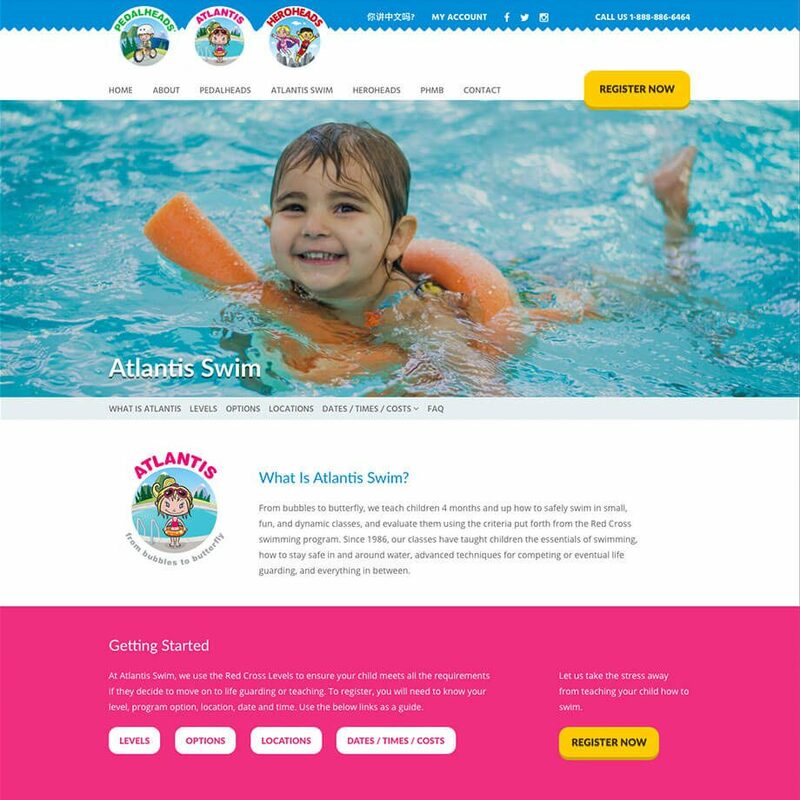 With a clear navigation and prominent calls to action, the new website leads the user through the process of selecting an activity to completing their booking. Visually the website represents the fun and engaging programs Pedalheads offers. A vibrant colour palette gives an energetic look that captures the user’s attention and reflects the company’s personality and programs.